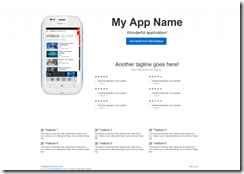 GrazeWP7 is a Windows Phone 7 app marketing site generator. It uses the Graze templating engine with Twitter Bootstrap to create static web sites. 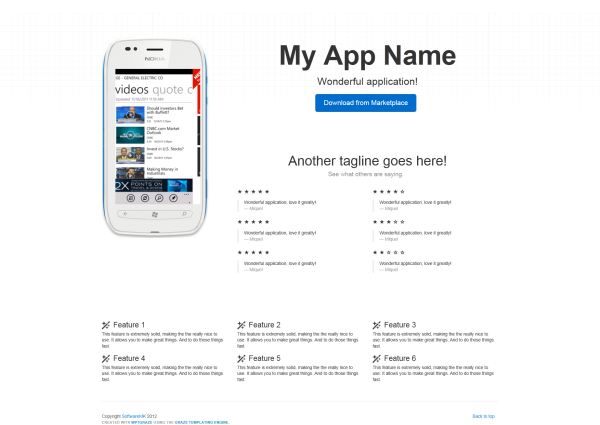 More details about WP7Graze, including the quick start, are available from the project’s home. It uses Windows Phone image assets from those projects.